Surely one of your New year’s resolutions is to travel more. We definitely approve this. Traveling makes us experience incredible moments and create unforgettable stories. We recommend you the best trips to take with children and we promise this is the best gift you can give them (the more, the better). Let us help you out to plan the 6 best trips to do with children. 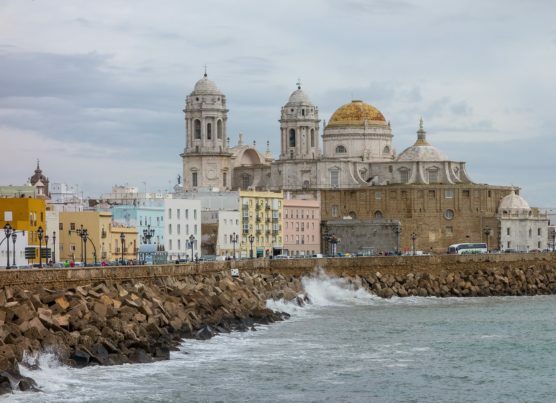 Cádiz has been chosen by The New York Times as the must-see Spanish province you have to visit in 2019. It is ranked on the 50th place and the journalist Andrew Ferren says that it has “an environment more similar to Havana than Madrid.” It is a perfect destination for a family getaway, as there are dozens of interesting places to visit with children. 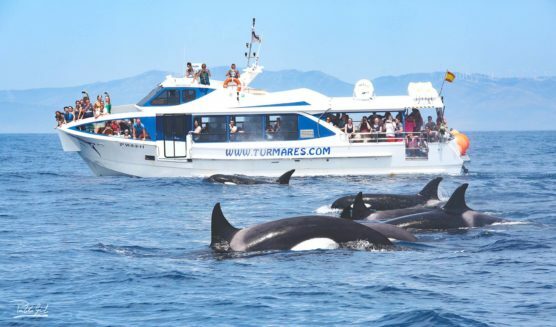 You can see dolphins and whales in Tarifa, several companies there organize boat trips on the Strait of Gibraltar. Some of the companies promise to return the money if there is no sighting. If you travel to Cádiz in summer, take your children and visit the water parks: Aqualand (El Puerto de Santa María), Bahia Park (Algeciras) and Aquatarifa (Tarifa). If you are sea obsessed, cross the Cádiz bay by catamaran. The trip will take you from the capital to Puerto de Santa María and Rota. You will love visiting the Doñana National Park by boat. The boat docks at several points so that passengers can get off and enjoy the Park. You will be accompanied by a guide in case you have any queries. If your children have an adventurous spirit, take them to the tower of Tavira, the highest point in the historic center of Cádiz. It was one of the observation towers where from the boats can be spotted. You will be able to enjoy the wonderful views and it’s a chance to observe through the Camera Obscura. It projects an image on a white horizontal screen, which is situated in the center of a completely darkened room. Are you a big family? Check out this selection of accommodations for large families in Cádiz. It is quieter than Mallorca and Ibiza and is full of beaches with clear and shallow water, an ideal place to be with a family. 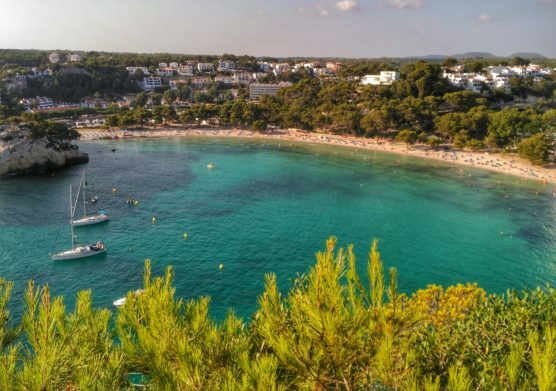 Cala Galdana is one of the best beaches to go to with children. It is very wide, with white fine sand and crystal clear waters. It has all the facilities you may need: restaurants, shops, restrooms, lifeguards, skates and sun loungers. Many of the local families also go to Son Saura’s Arenal, where there are two sandy beach alleys separated by rocks: Banyul and Bellavista. They also have the basics such as lifeguard and restrooms but they are also less crowded than Cala Galdana. There is free parking in a 10-minute walk. In addition to sun, sea and sand, there are many more activities to do as a family. For children above the age of 6, a Jeep Safari will catch their eye. They will be able to go through ancient settlements and explore forests and hills in a 4 × 4, while a guide explains the whole story. If you travel to Menorca in summer, you must visit the Aquarock water park in Cala en Bosc. You will find slides, trampolines, a huge pool with a wave machine, a whirlpool “bathtub” and much more! A place where both children and adults can have fun is the Menorca Castle, a shopping center with an adventure park consisting of zip lines, sandbars, swings, trampolines, swimming pool, karts etc. If your children like animals, the Lloc de Menorca zoo is the right place. It is ten minutes away by car from the capital city, Mahón, and you can see native species of Menorca and more exotic animals, such as reptiles and birds from around the world. 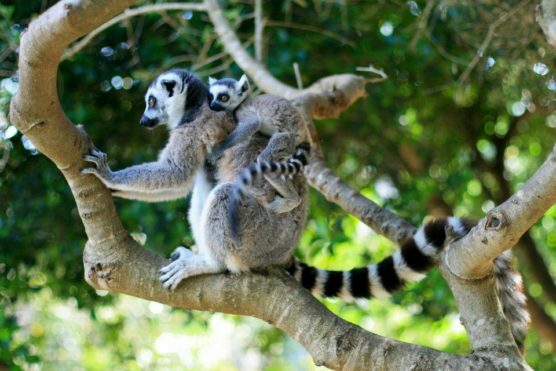 There are wetland areas and a lemur forest in addition to a museum and a picnic area. Do you want to know more places to visit in Menorca? Do not miss our island guide. A tour of the Grand Canal in a Vaporetto. Line 1 of the Vaporetto (the public transport of Venice) runs along the Grand Canal from Piazza Roma to Piazza San Marco. You will be able to see the Gothic and Renaissance palaces, as well as get a beautiful view of the city. A visit to the Basilica of San Marcos to see, among other things, the magnificent bronze horses. Venice took these horses as booty from the war after the fall of Constantinople. They were placed in the portico of San Marcos. Napoléon sent them to Paris, but returned them after their defeat and remained in the square until 1981. The horses were later on taken to the museum inside the basilica and were replaced by a replica. You will also have the chance to see how impressive the Pala d’Oro is, the Golden Altarpiece that the craftsmen of Constantinople built in 976. 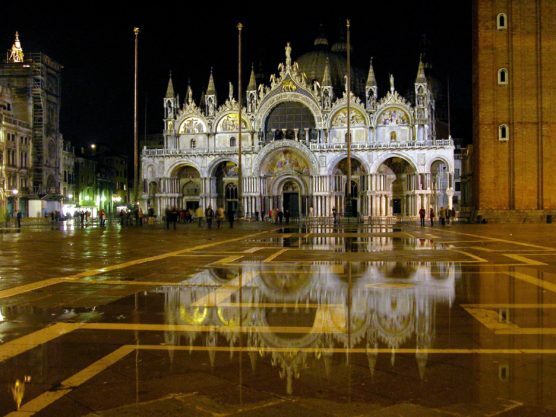 Explore the old prisons of the Doge’s Palace (called Piombi) if you are looking after something mysterious. They are some humid and dark cells where the famous Giacomo Casanova was imprisoned. When you go there, you can see the torture room (it’s not very scary) and the guide will reveal you how Casanova escaped. 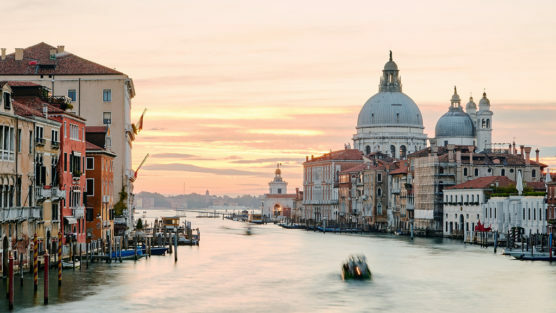 Have you seen our apartments overlooking the Grand Canal in Venice? Go and see the glassblowers in Murano. The Vaporetto will take you to the island of Murano, where the workshops are held. These masters were “confined” there so that the possible fires of their ovens didn’t affect the city center and so that they couldn’t leave and tell their secret of their valued glass. Play with your children the “hunt” lions. Throughout the city, you will discover lions, especially figures of a winged lion, which is the symbol of the patron and founder of the city, San Marcos. You will also see lions without wings and some of them with books under the leg. However, if the book is closed, it belongs to the time when the city was at war. Annecy, located in the Auvergne-Rhône-Alpes region, is a beautiful city that has preserved its medieval character and has extended to the edge of a lake with the same name. 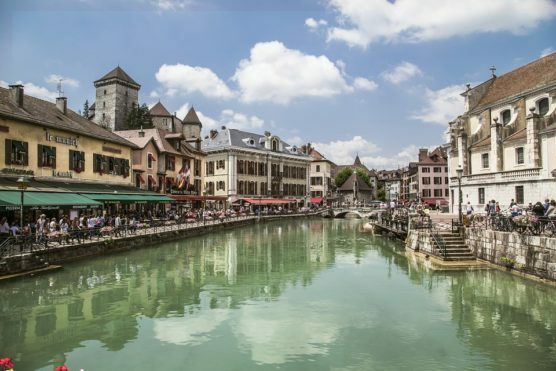 They call it “The Little Venice of the Alps.” The city of Annecy has great historical and cultural attractions that will enchant the whole family. The Annecy Italian Film Festival (yes, an Italian film festival) is popular along with the Annecy Palace (which was the residence of the Counts of Geneva) and the Cathedral of St. Peter (which hosts many Baroque artworks and a nineteenth-century organ). You will fall in love with the turquoise shades of Lake Annecy, the second largest lake in France and the cleanest one in Europe. You can even beach there and swimming is allowed. Bathing in front of those imposing mountains will be a wonderful and relaxing experience for children and adults. If you are there in those dates, don’t fail to experience La Fiesta del Lago, a pyrotechnic and musical show that lasts an hour and a half and takes place on the first Saturday of August. Commemorates the accession of Savoy to France. See more charming towns and destinations in the French Alps. 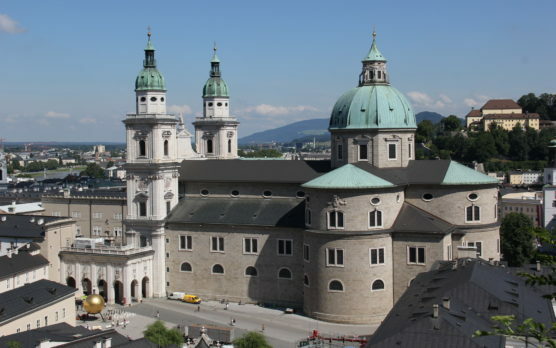 Salzburg is a charming town and it should definitely sits on top of your list. The home of Mozart is a good destination both for summer (thanks to its huge green gardens) and for winter (magical Christmas markets are being installed every year). What places can you visit here with children? Fortress of Salzburg. It is located on the Mönchsberg hill, which can be reached by funicular. From there you have some very beautiful views over the city and, in addition, you can visit the interior of this medieval construction. Palace and gardens of Mirabell. It is known for its baroque architecture and its gardens. Here, a part of the film Sonrisas y Lágrimas was filmed. It is also usual to see orchestras playing outdoors. Your children will like the hedge maze and the garden gnome area. Enjoy! Have you already seen our apartments in Salzburg? The birth house of Mozart. You can visit the place where Mozart was born and where he spent his childhood. It’s called Casa Hagenauer. It is recommended to opt in for a guided tour. Science Museum “Haus der Natur”. You can expect fun while your children are learning in an interactive way. You can see exhibitions of dinosaurs of the universe, the Arctic, the rainforests and much more. There are also many workshops in addition to an aquarium. Visit its website here. Mild temperatures, calm waters and delicious gastronomy, that’s Madeira! 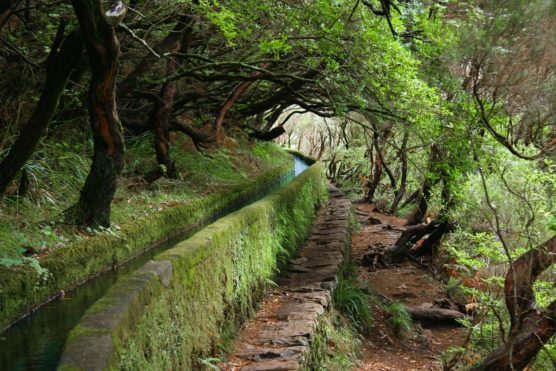 Madeira offers much more to do with children besides going to explore the parks and natural pools. What more activities will you have there? Let us tell you. 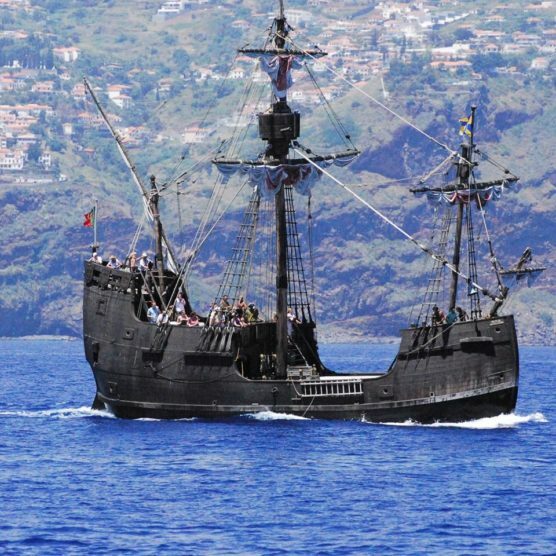 Go on a tour in the caravel of Christopher Columbus. The Santa María de Colombo was built in 1998 and is identical to the flagship of Christopher Columbus. You will sail away for 3 hours along the coast of Madeira and they will give you a honey cake and a glass of wine (this one only for the adults). Everyone is happy! Museu da Baleia. The whale museum is located in a small and quiet fishing village. There are large-scale reproductions, various types of real boats and interactive sections, as well as audio guides. A good place if your children are interested in sea life. The Madeira theme park. It is a good place to go to spend the morning. The whole family can rowboat in the lake, play in the playground, visit some artisans markets and taste local food. Explore the caves of São Vicente. They were formed thousands of years ago by lava from volcanic eruptions. Nowadays, they serve as sources to learn more about the geology of Madeira. It will also help if visit a museum and a 3D cinema. Test your limits on the cliffs of Cabo Girão. You can walk on a glass platform of more than 560 meters above sea level in Cabo Girão and explore the breathtaking views of the cliffs. There is also a cafeteria and a store too. We would love to know if you have already been to one of those destinations. Tell us if you have more recommendations regarding trips to take with children and we will keep adjusting our list according to your needs.